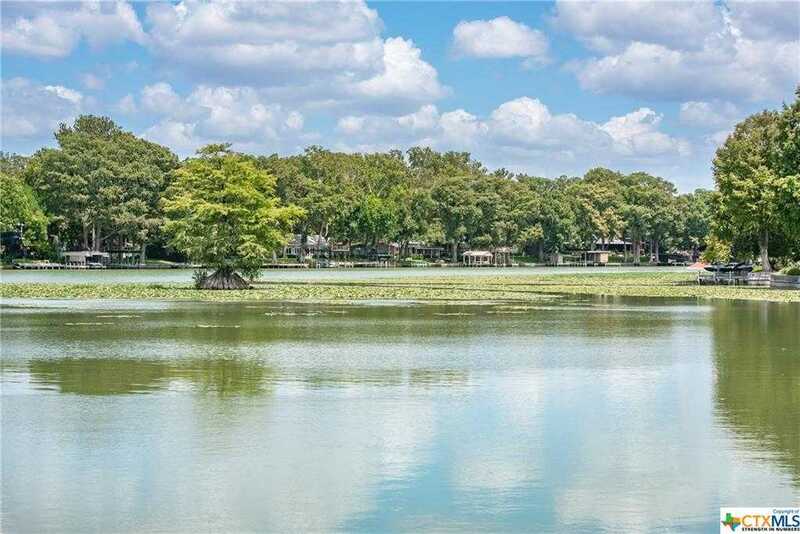 Beautifully updated custom Lake McQueeney waterfront home on Treasure Island. Open kitchen and living area are wonderfully laid out for entertaining with a gorgeous view of Lake McQueeney. Main living area has hardwood floors and 10ft ceilings. Kitchen features custom cabinets, large center island with room for barstool seating, granite countertops, stainless steel appliances including a warming drawer. There is a smaller living space off of the main room that could also be used as an office space. Spacious master suite with a large walk in closet. There are 2 additional bedrooms that share a full bath on the upper level. Large 3 car garage with a workshop. Boathouse and floating jet ski docks. Great home for entertaining on beautiful Lake McQueeney, A must see! Courtesy of Phyllis Browning Company – NB. Please, send me more information on this property: MLS# 356244 – $699,700 – 242 Admiral Benbow, Mcqueeney, TX 78123. I would like to schedule a showing appointment for this property: MLS# 356244 – $699,700 – 242 Admiral Benbow, Mcqueeney, TX 78123.